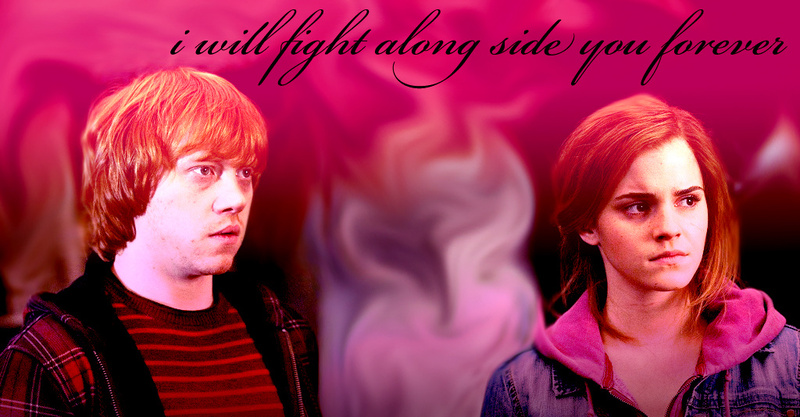 r and h. . HD Wallpaper and background images in the romione club tagged: ron weasley hermione granger. This romione fan art contains retrato, headshot, close up, and closeup.